Chasin' Mason: Happy St. Patrick's Day! There was a festive sign and green all over! Mason was dressed super cute in his green outfit and green socks when... five minutes into being at daycare, he poops all over and has to be changed. Poor kid! I got these amazingly cute pictures from Luz but poor Mason had to wear a red and grey long sleeve outfit he had there... with no green (though he does still have his green socks on if you look super hard on the picture to the right). To top it off, it was super hot that day too and the poor boy only had a long sleeve, 6 month outfit. Needless to say, I put a 9 month, sleeve outfit in his bag to leave at daycare now that the weather is so warm. 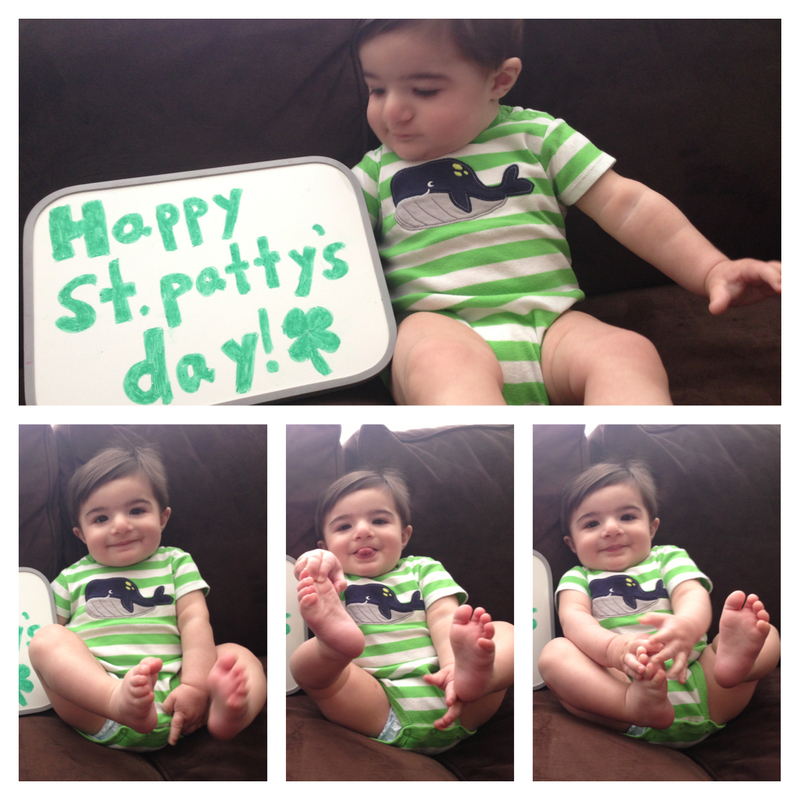 Even though he had no green and was probably warm, he still had a great day! We had planned on having a "green day" with Auntie Erin, Uncle Shawn, and Emma and Addison because heading over to Grandma Judy's house for dinner. The day started off with Mason eating some sweet potatoes out of his green bowl with a green spoon. 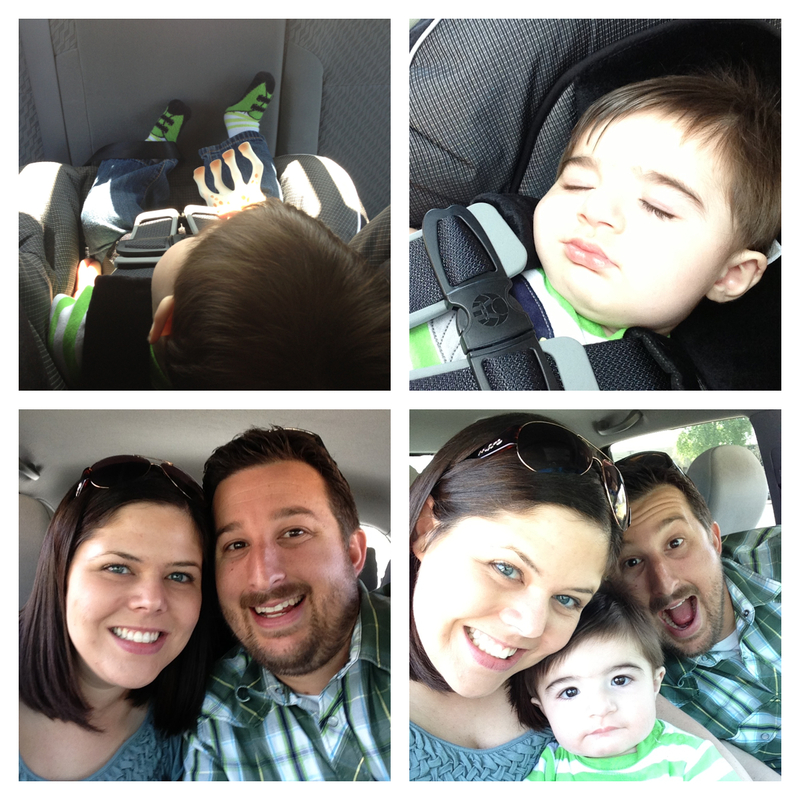 Then we got dressed in our green outfits and Mason had a little photo shoot. When the photo shoot was over, we headed over to Starbucks. We picked Starbucks over another coffee place because of the green label... cheesy I know, but it went along with my theme! Then we headed over to the OC Great Park where they have a farmer's market every Sunday from 10am-2pm to meet Auntie Erin, Uncle Shawn, Emma and Addison. They were running a little late so we had another mini photo session in the car. 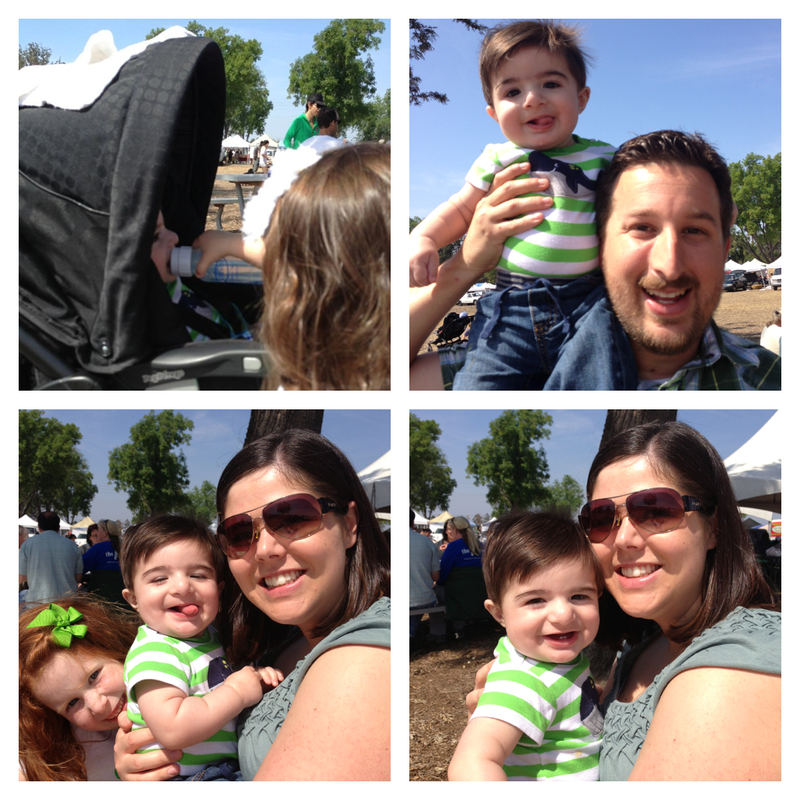 Auntie Erin, Uncle Shawn, Emma and Addison finally arrived and we headed in to the farmer's market! 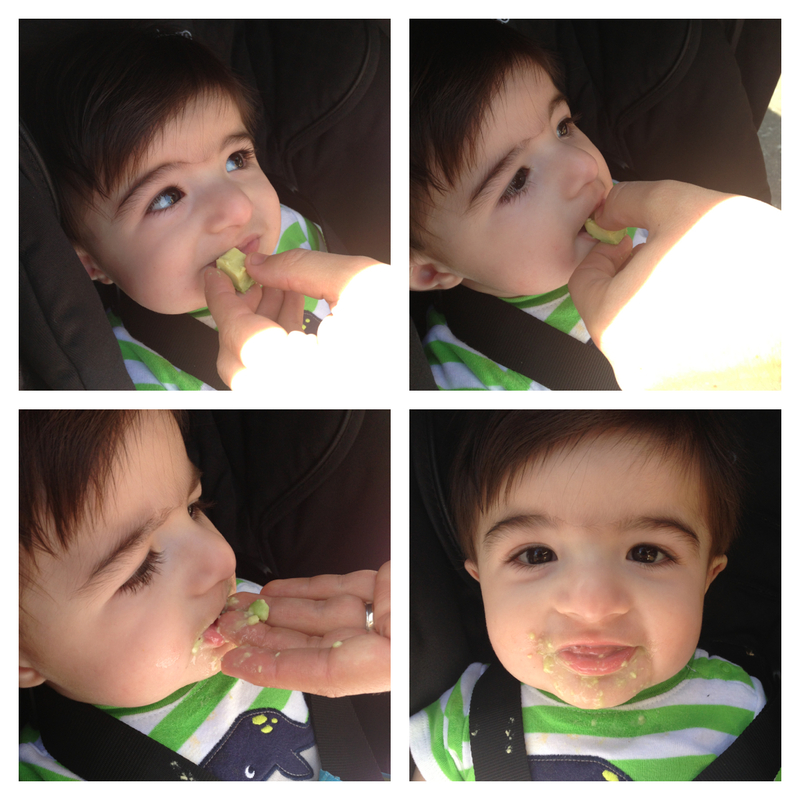 Mason tried avocado for the first time and LOVED it! We had an amazing time walking around, tasting things, and having lunch at the food trucks! Then it was time to head home for Mason to take a nap and then it was over to Grandma Judy's house for dinner! 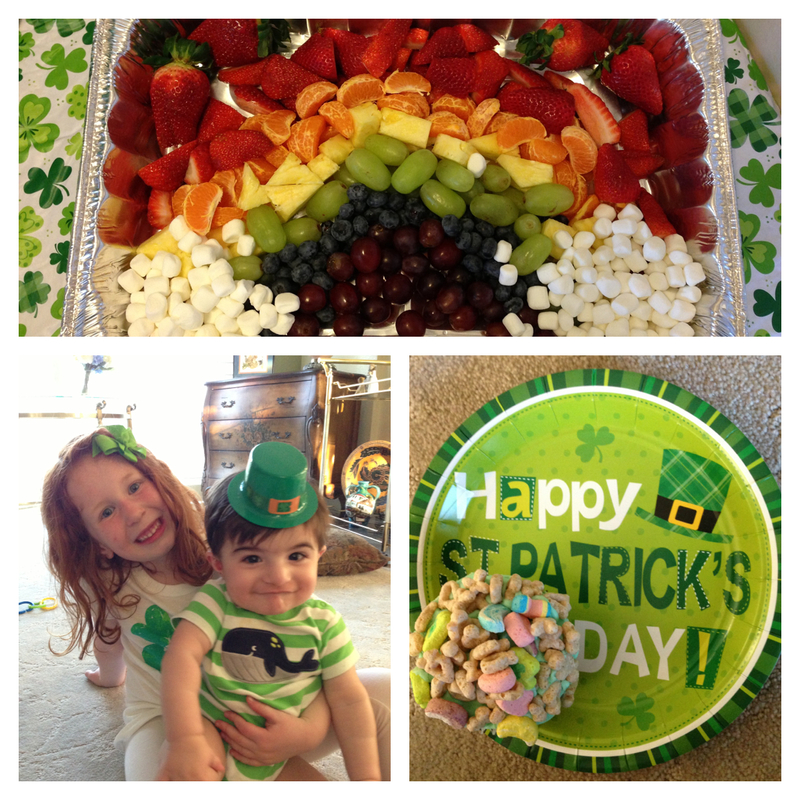 We had some yummy corn beef and cabbage and potatoes and salad and fruit and then some lucky charms cupcakes for dessert! Bottom right : lucky charms cupcake! What a GREAT day! 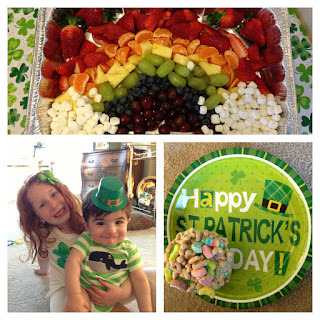 Happy St. Patrick's Day everyone!